Close-up lateral view of a large hoverfly (Cheilosia grossa) resting on a tall grass in a damp woodland habitat on an early morning in early spring. 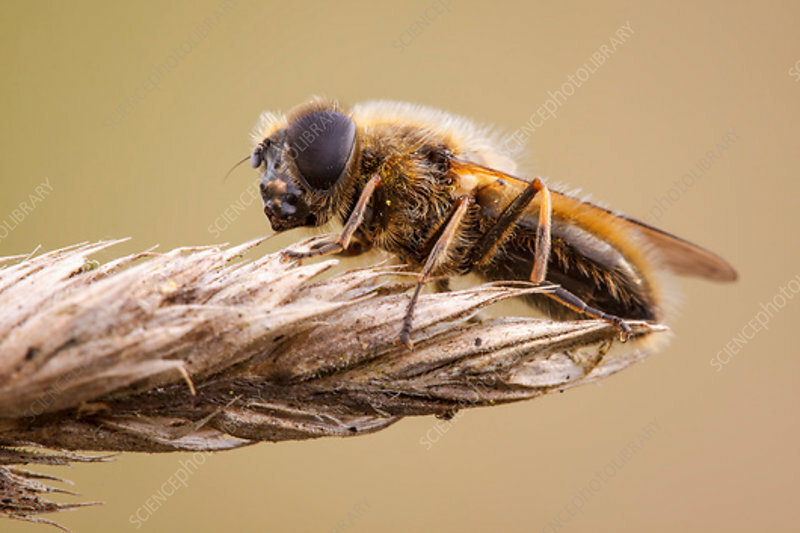 This species belongs a group of hoverflies often called drone flies' and is one of the first to be seen in spring. Photographed in Somerset, UK, in March.